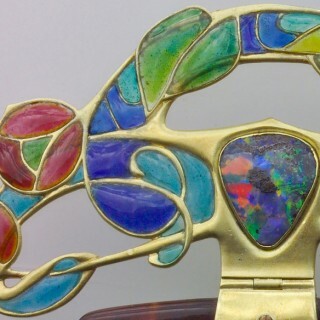 An extremely beautiful unrecorded Diadem by Archibald Knox. 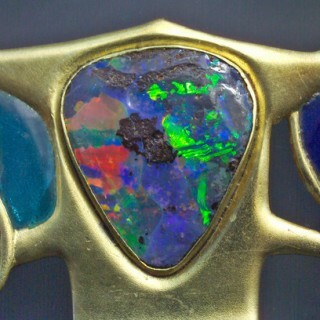 The fiery central opal is set amongst gold entrelacs of flowers and foliage enriched with superb plique-à-jour enamel. 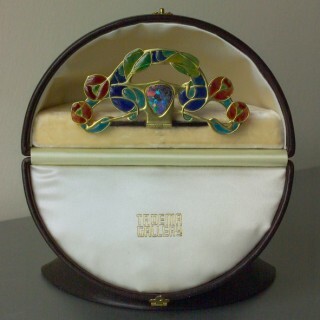 The reverse is embossed with a butterfly motif. 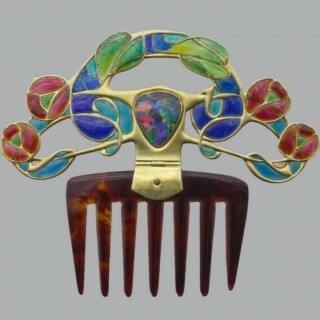 This is a metamorphic jewel being adjustable to both a diadem and a decorative comb.